The Chicago Teachers Union rejected an impartial arbiter’s report Saturday, setting in motion the 30-day countdown to a potential teachers’ strike in mid-May. Neutral fact-finder Steven Bierig issued his recommendations Saturday in the ongoing contract negotiations between the Chicago Board of Education and the Chicago Teachers Union. The CTU rejected the offer Saturday afternoon shortly after the report was released, according to a statement from the Union, meaning teachers could strike as early as May 16. 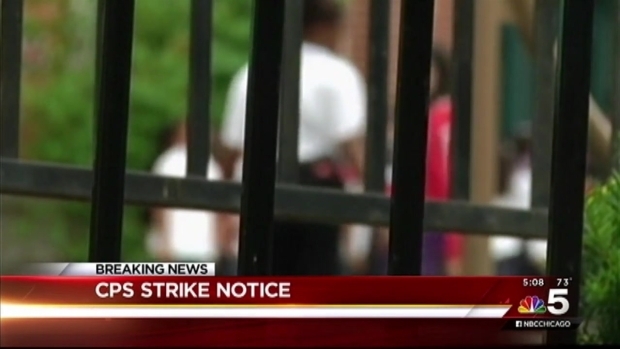 Teachers have been working without a contract since June. The CTU previously rejected the Board’s contract proposal on February 1, three days after the Board offered the union a four-year deal. The contract offer included raises of 2.75 percent next year and three percent for each of the following two years, but required teachers to contribute more to their pension fund and pay a portion of their health insurance premium. The offer also included retirement bonuses of $1,500 for each year of service in an effort to encourage some long time teachers to step down. The district was looking for 1,500 teachers to retire. The February 1 rejection set in motion the legally-mandated ‘fact-finding’ portion of the process, in which Beirig acted as a mediator, issuing his findings Saturday. In an email to CTU leadership Friday, the union said delegates told officers “if the report offers no substantial breakthrough in terms of class-size limits, reasonable economics or the closure of devastating loopholes,” officers should reject the report immediately in order to begin the legally-mandated 30-day “cooling period” before the union can strike. “The clock has started,” CTU President Karen Lewis said in a statement. “CPS has created this fiscal mess and refuses to go over hundreds of millions of dollars in existing revenue that is already out there." “We have no choice to prepare ourselves for a possible strike,” Lewis added. Union members voted to authorize a potential strike in December, with 88 percent of 22,678 teachers casting their vote in favor of strike authorization. 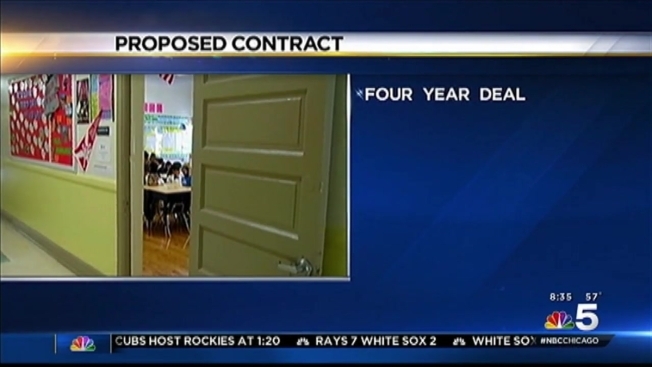 The previously rejected offer in January came on the same day that the Chicago Public Schools district announced a round of layoffs impacting 62 employees. In March, the district also announced plans for three furlough days for teachers, one of which fell on March 25. The following Friday, April 1, CTU organized a one-day walkout. The district is currently facing a $500 million budget hole.